You will no doubt be aware of the value of regularly servicing your vehicle. Regular servicing saves money, ensures reliability and avoids frustration. It also gives us a chance to check for any defects, which if left unattended could become major faults. A regularly serviced vehicle retains its value for longer. The cooling system of a modern vehicle is the most important part to be kept in top condition. This will allow the vehicle to operate to its full potential and achieve the best fuel economy and longevity of the engine. Automatic Transmissions are one of the most neglected parts of the vehicle. They require servicing every 40,000kms. If this is achieved it can extend the life of the transmission and help to ensure your engine runs as smoothly as possible. To warm you up or cool you down, if your vehicles Air Conditioning is not working properly we can help. We suggest servicing your Air conditioning system every few years to ensure you are not left in discomfort. If you notice any change in your vehicles drivability we can easily check the clutch operation and adjust, repair or replace as necessary. We only use quality parts to ensure longevity of the work carried out. A Cam Belt, Timing Belt, Drive Belt – it doesn’t matter what you call it should be changed every 100,000km or 5 years for most vehicles, what ever comes first. We recommend whilst having your belt and components changed you let us change your vehicles water pump and engine coolant. This will save you money in the long run. Keeping your exhaust system in top working condition is essential for keeping the occupants safe from the dangerous exhaust gasses and also keeps the vehicle running to its optimal level. Exhaust safety checks are quick and painless. If there are any defects found or you are after some work done to your exhaust or muffler our experienced staff can do the job. We all want to make sure your brakes are going to stop you when you need them to. At Brad Ward Motors we offer a comprehensive brake check and repair service including testing of fluid, physical checking and repairing/replacing of pads, discs, drums, shoes and cylinders. Vehicle brakes are one of the most important vehicle systems so regular brake repair and maintenance work is essential. 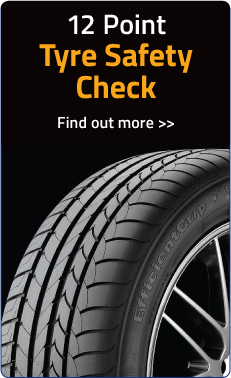 Tyres are the only contact between you and the road and play a vital role in your driving safety. At Brad Ward Motors we are a Century Car Battery authorised stockist. We can do a FREE battery health check to find out how much life is left in your battery. A wide variety of batteries are on site so we can quickly replace your current battery and get you back on the road in no time.